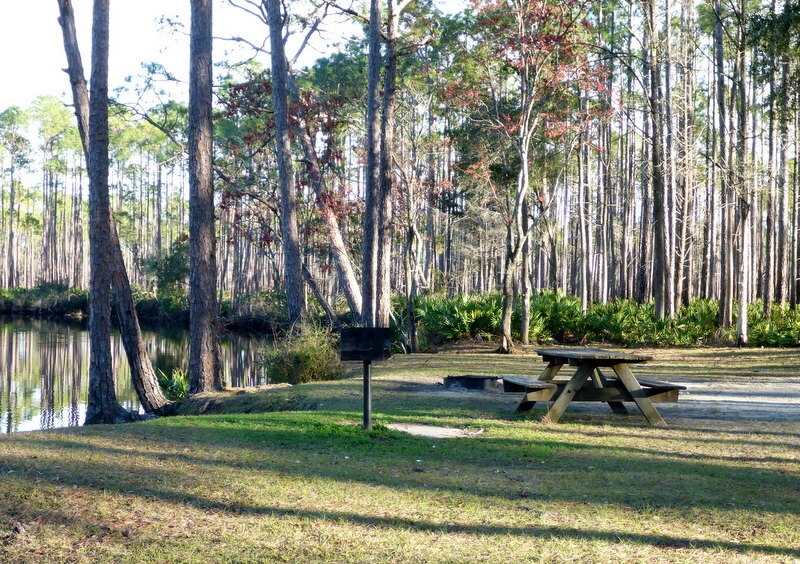 You can reserve CS 9 at Reserve America, Tate’s Hell State Forest New River (section). When you get to your campsite, find the closest point where you can get cell connection. If you call 911, your site street address is 1591 River Road, Tate’s Hell State Forest. GPS 29.89629,-84.73390. First responders cannot find you with only a campsite number. Reserve America’s confirmation documents will not include this address. 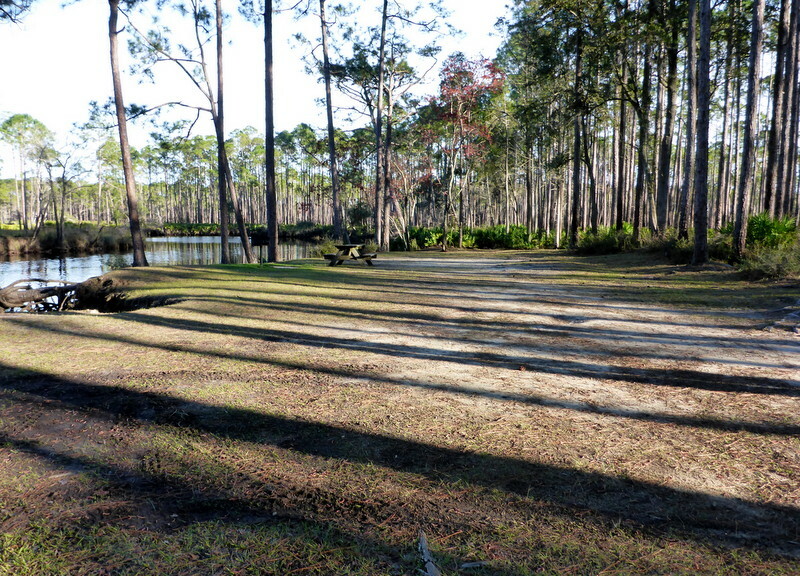 Pope Place Campsite, a very large RV and Tent primitive camp site on the New River. This site, can easily accommodate up to 8 people and as many small single tents. 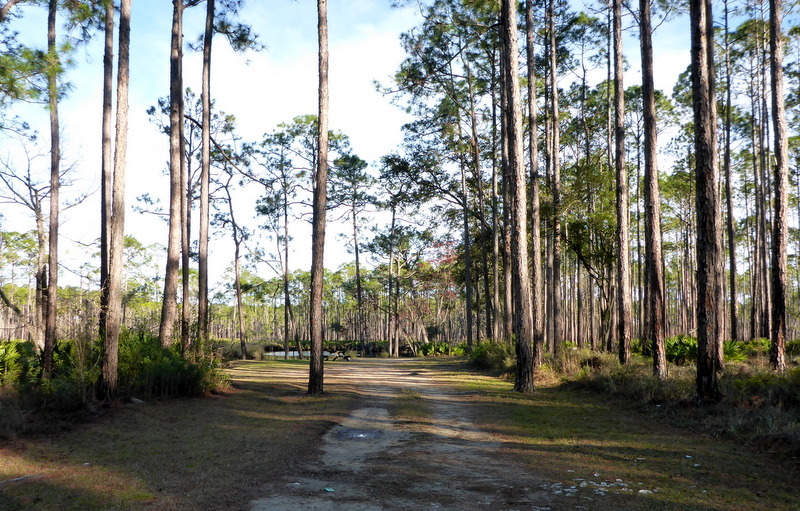 Privacy is insured not only by the distance between sites, but also by the trees and vegetation around each campsite. Entry is wide and can accommodate several parked cars, but there is more than ample space in the site itself. This is a good site for paddlers since the landing is sandy. This photo was taken at low tide. There is a drop so, when taking out, be sure that your feet are on the exposed sand, if possible. This site is below Gully Branch Road after which tidal currents can be felt. If one capsizes in a fast outgoing current, one could easily lose one’s craft. The view from this site is spectacular. 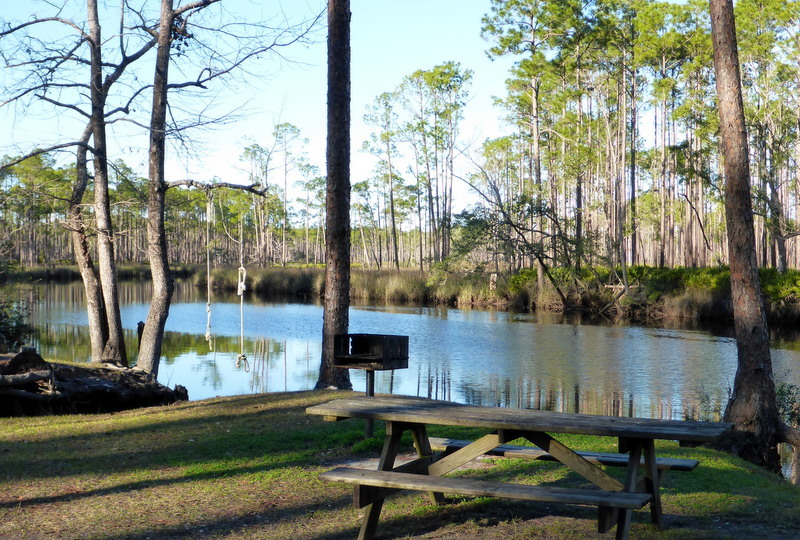 Campers can put-in from upriver sites on the New River or paddle from this site. Tidal current may be noticeable. If the current is too strong for up and back or down and back and a shuttle is not possible, try Trout Creek. Trout Creek is just south of this campsite on West River Road at the intersection with River Road, a little over a mile of this campsite. The current is not that noticeable on Trout Creek, except where it meets the New River, but water levels will go up and down. Paddlers need to consider the level of the water if going under limbos on this creek (if there are any), a higher level of water may narrow the opening on a return to take-out. This is an excellent creek to paddle with children just learning to paddle or for adults who have reluctantly been urged to try paddling. If you can shuttle, putting in at Gully Branch Road landing, will give you a nice downriver paddle to the campsite. Adventurous paddlers, who like wilderness paddling with its uncertain challenges (or not), put in at FR 22 east of Sumatra, camp over at campsite 17 on the New River (in Tate’s Hell SF Juniper section) and paddle to Pope Place for a next day take-out. The total paddling mileage is about 23 miles: 9.5 miles the first day and 12.5 the next day. There is a 9 miles upriver section in which no road access is available to the river, so only those capable of handling uncertain river conditions should attempt the top 9.5 miles. 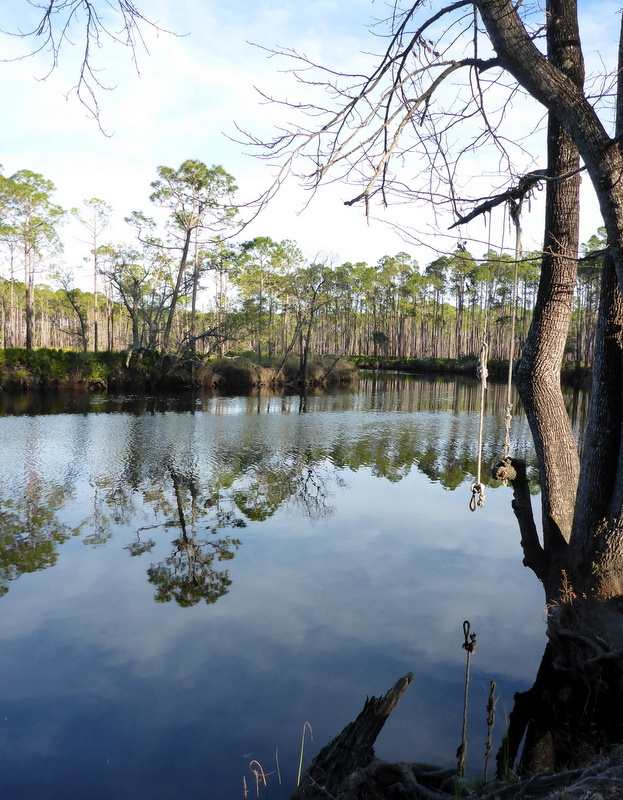 Paddlers have access to the water through your site. 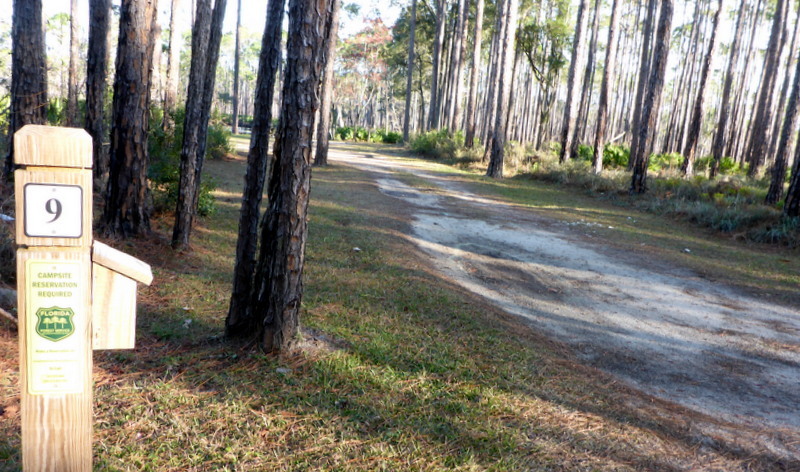 Paddlers should park their cars in the entry driveway and not the campsite. There is no water or toilet facilities. The forest is heavily rooted and a trowel isn’t going to give you a deep enough pit. Bring a portable toilet (with biodegradable, disposable bags). Everything should be packed out. There are bears in Tates’s Hell and food should be kept in cars, or hung away from sleeping areas. A kayak hatch is not a good place to keep food or scented items such as shampoo, soap, etc. overnight. 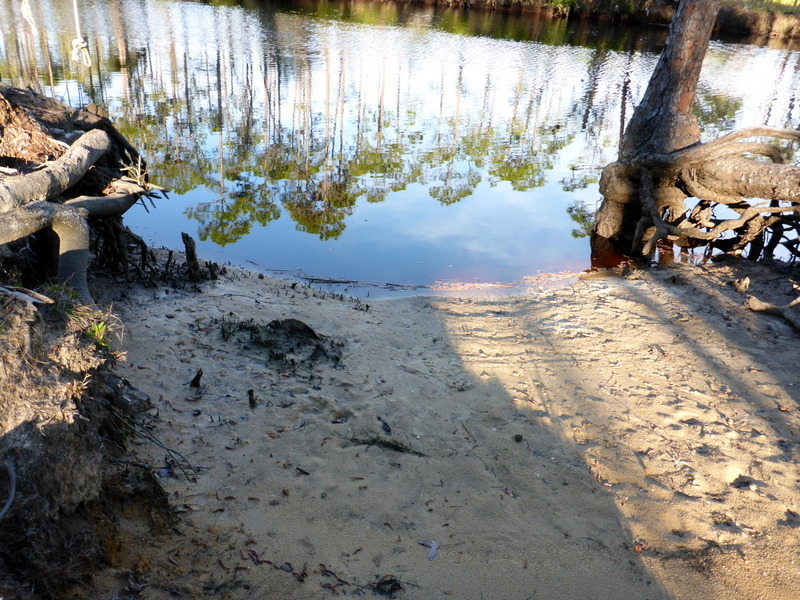 The photos were taken at low water levels; tides affect the water level on this site. If you camp(ed) here please comment in the box provided at the end of this post. 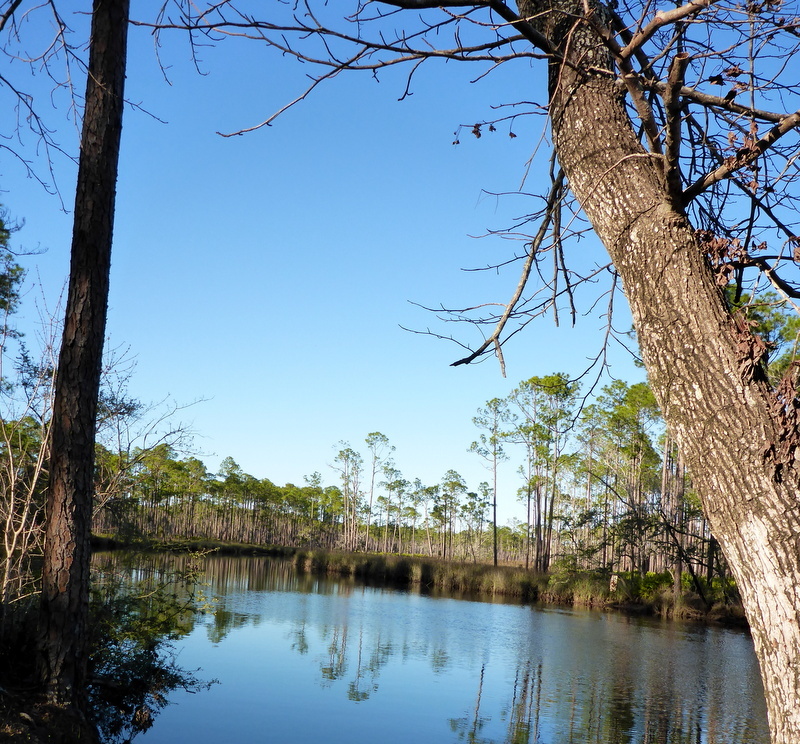 This entry was posted in Camping, New River, Paddling, Paddling North Florida, Paddling Tate's Hell State Forest, Tate's Hell State Forest camping and tagged Camping Tate's Hell State Forest, Florida Paddling, Tate's Hell State Forest paddling on February 14, 2019 by marylynanded.